As soon as Erica stepped out of the car my creative vision was in full gear. She was simply glowing! A gorgeous pale blue dress that was swept up in the wind and a floral hair wreath was the perfect touch. Shades of blue for baby boy! 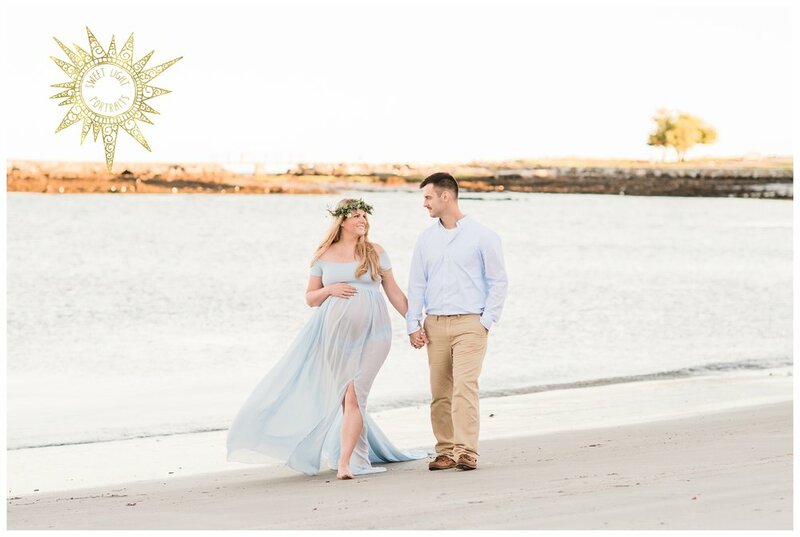 I just love how Erika carried this beautiful pastel blue throughout the shoot including her nails that were painted shades of blue for the adorable baby boy on the way. We could not have asked for a more perfect evening out on the beach with the sun peeking through the tree line and the soft glow over the water. 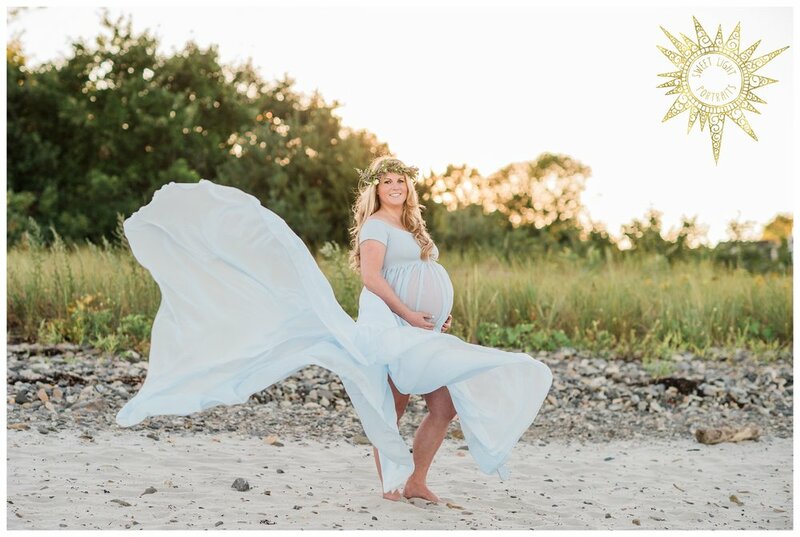 So thankful for the perfect amount of wind to pick up her flowing dress for the most beautiful shots. 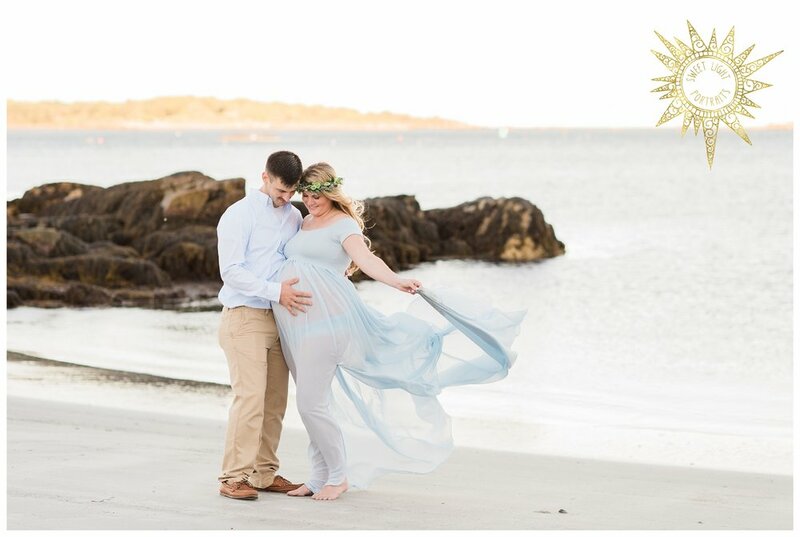 This was one of my favorite maternity sessions of all times.